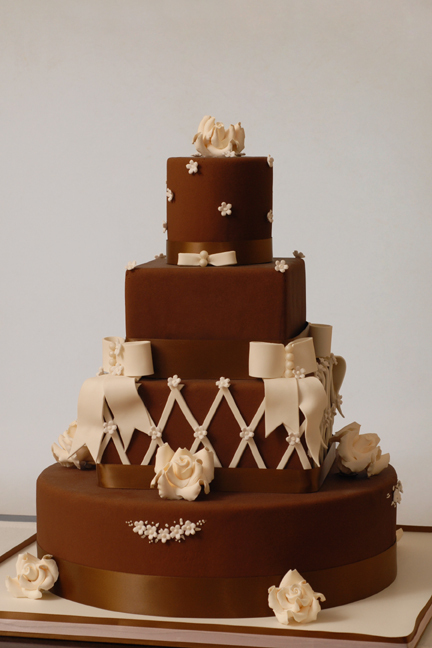 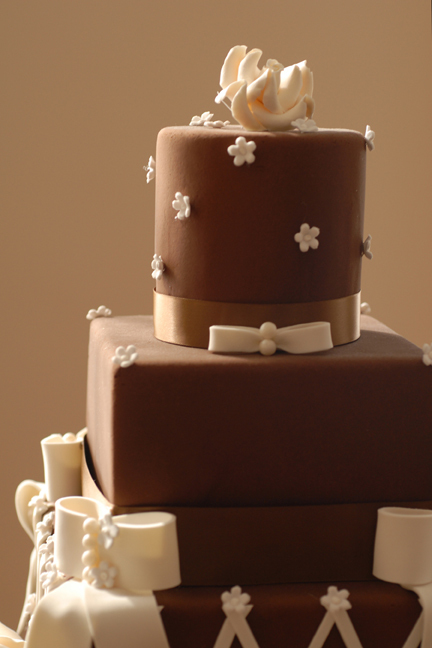 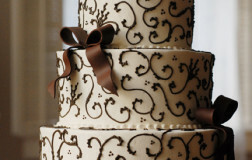 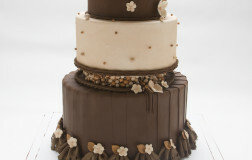 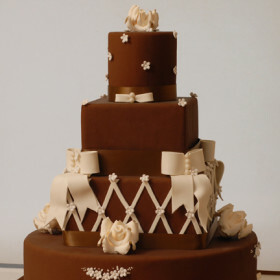 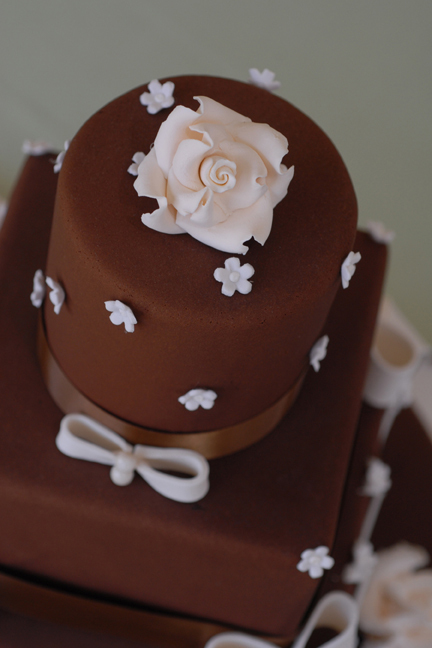 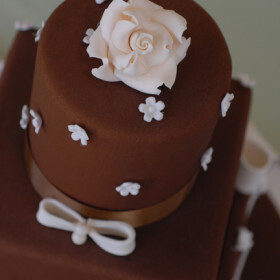 Four tier wedding cake shown in a chocolate brown fondant finish. 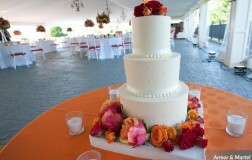 Alternating round and square tiers; 4″ round, 6″ square, 8″ square, 12″ round tiers. 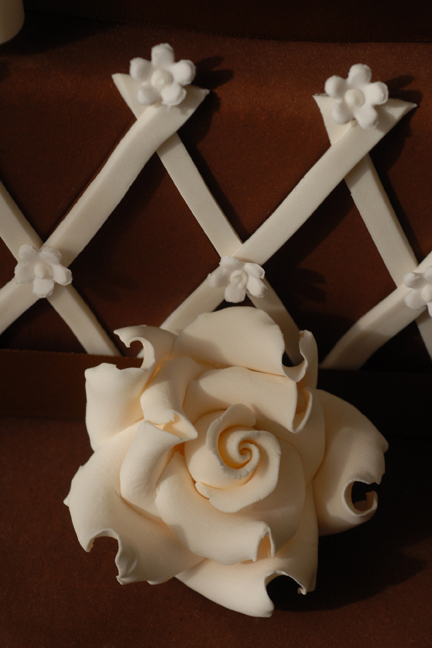 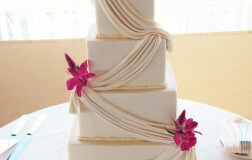 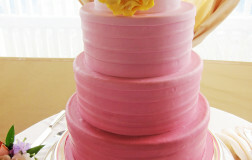 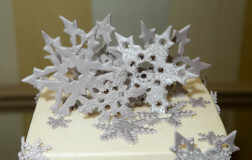 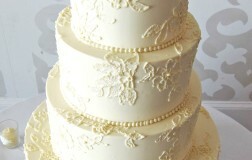 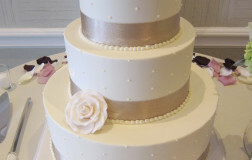 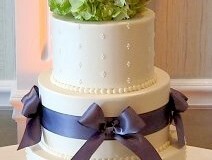 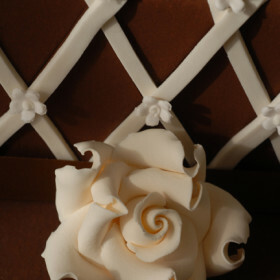 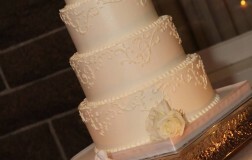 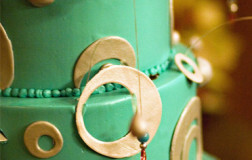 All ivory design accents are handmade and edible. 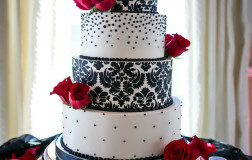 This is a swiss dot wedding cake displayed at the Newport Hyatt Regency in Newport, RI. 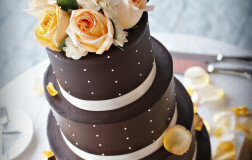 A swiss dot cake design is timeless and classic. 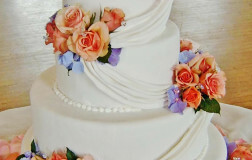 The flowers are fun and bright; adding a great deal of charm to this cake that was featured at Castle Hill Inn in Newport, RI. 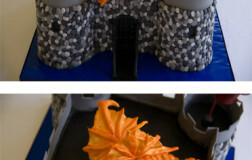 Image provided by Armor & Martel. 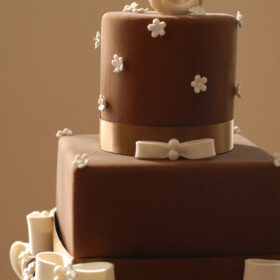 Love how romantic this looks. 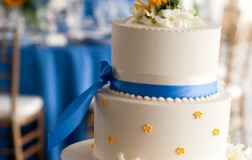 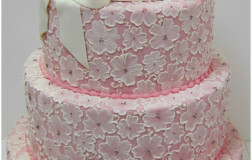 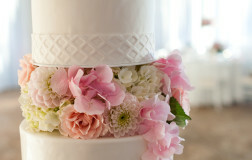 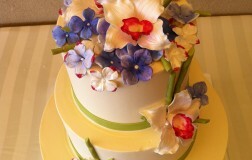 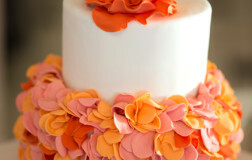 Fresh flowers accent this fondant swag cake beautifully at Castle Hill.